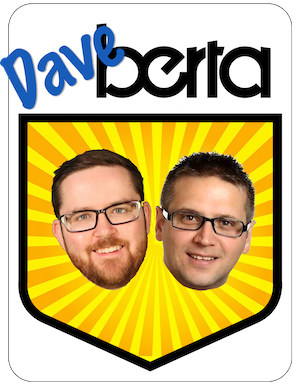 Back by popular demand, the Daveberta Podcast is pleased to launch the Best of Alberta Politics 2018 survey. We want to hear from you about the big political players and issues of 2018. Submit your choices for the seven categories below. Who was the best Alberta MLA of 2018? What was the political issue of 2018? What was the biggest political play of 2018? 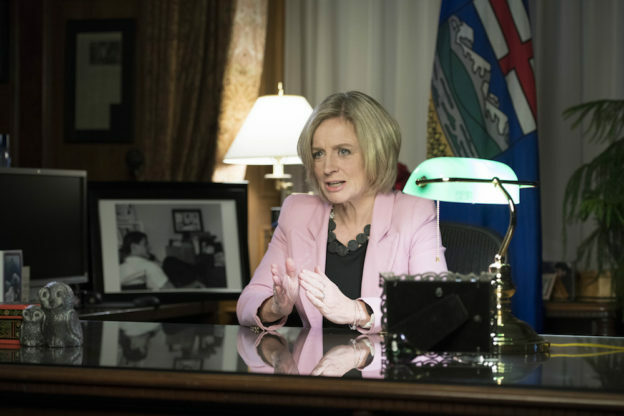 Who was the best Alberta cabinet minister of 2018? Who was the best opposition critic of 2018? 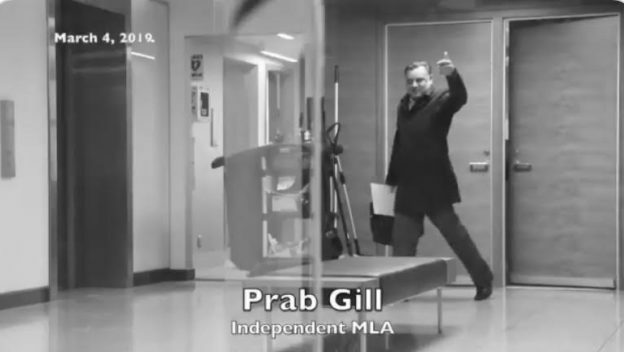 Who is the up and coming MLA to watch in 2019? 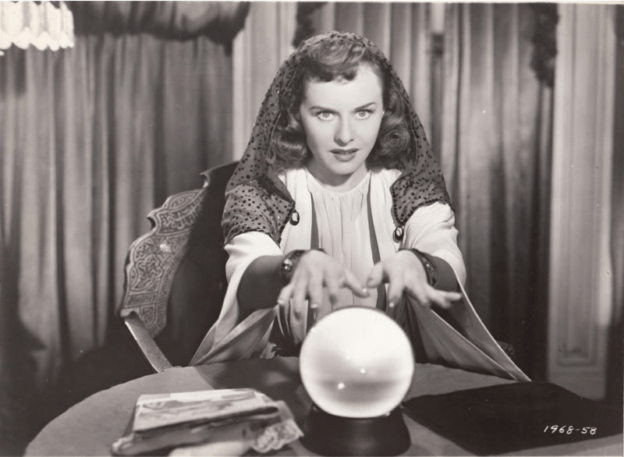 Who is the new candidate to watch in the 2019 election? Submissions will close on December 12, 2018 at 12:00pm and the top three choices in each category will be included in a round of voting starting on December 13, 2018. Voting will be open until December 19 and the winners will be announced on December 20, 2018. 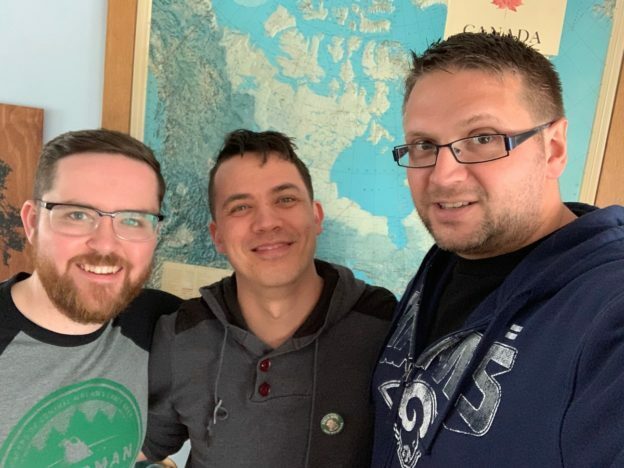 Listen and subscribe to the Daveberta Podcast on Apple Podcasts, Google Play, Stitcher, or wherever you find podcasts online. 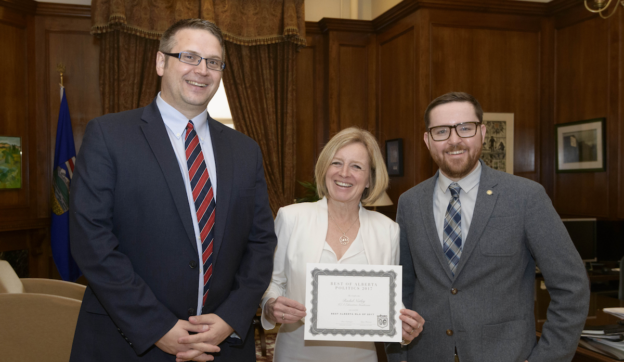 Read about last year’s winners: Greg Clark, David Shepherd, David Eggen, Premier Rachel Notley, and the formation of the United Conservative Party. 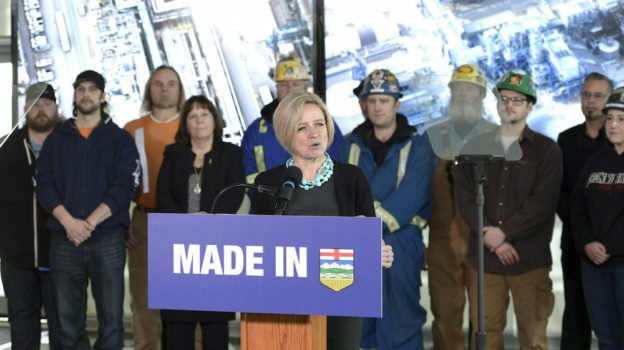 This entry was posted in Alberta Politics and tagged Best of Alberta Politics 2018, Dave Cournoyer, David Eggen, David Shepherd, Greg Clark, Rachel Notley, Ryan Hastman, United Conservative Party on December 6, 2018 by Dave Cournoyer. 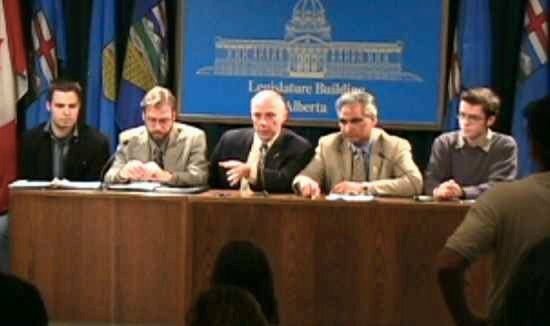 Photo: ACTISEC President Jon Hoffman, Public Interest Alberta executive director Bill Moore-Kilgannon, Liberal MLA Dave Taylor, NDP MLA Raj Pannu, and CAUS Chairperson Dave Cournoyer in the media room at the Alberta Legislature on May 9, 2006. This week’s news about the Alberta Government extending the tuition freeze and legislating the formula to increase tuition reminded me of the day I came very close to being kicked out of the Legislature. Advanced Education Minister Marlin Schmidt introduced Bill 19: An Act to Improve the Affordability and Accessibility of Post-Secondary Education in the Legislative Assembly this week. 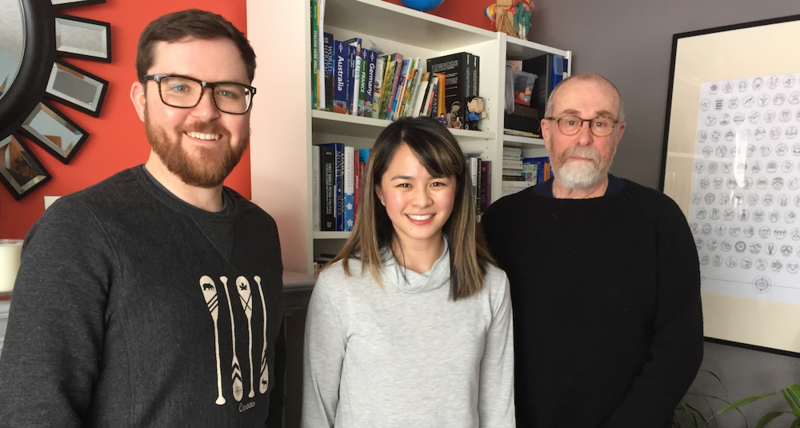 If passed, Bill 19 will implement a new framework that will regulate tuition and mandatory non-instructional fees and provide a new measure of fairness for students enrolled at Alberta’s colleges and universities. Bill 19 will cap each post-secondary institutions average tuition and apprenticeship fee increases to the Consumer Price Index and allow the minister to regulate mandatory non-instructional fees and international student tuition. It also gives student leaders a more meaningful voice in the process. 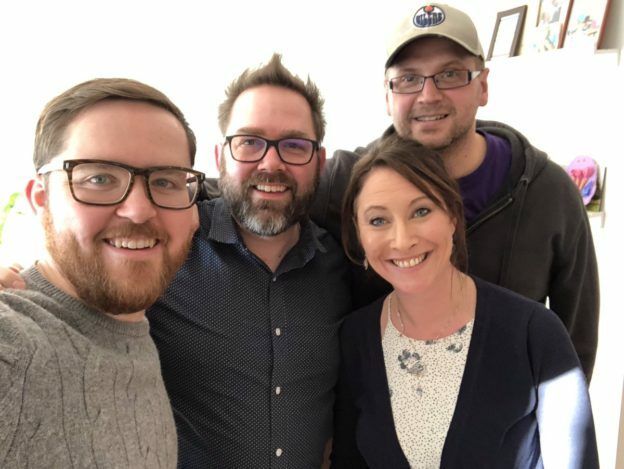 These are significant changes but, closer to the heart of this writer, Schmidt is bringing Alberta’s tuition policy out from behind the closed doors of the government boardrooms and returning it to public light in legislation. 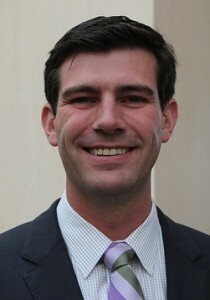 In 2006, I was elected Vice-President External of the University of Alberta Students’ Union and chosen as chairperson of the Council of Alberta University Students, an organization that represented undergraduate students from the University of Alberta, the University of Calgary, and the University of Lethbridge. It was a interesting time to be a student leader in Alberta. The price of oil was high and political change was in the air. After 13 years as premier, Ralph Klein was approaching the end of his time in office, and he was backtracking on a pledge made during a 2005 televised address that Alberta would have the most affordable tuition in Canada. It happened that May 9, 2006 was an exciting and dramatic day to step in a new role as chairperson of CAUS. Then-Minister of Advanced Education Denis Herard announced he would introduce Bill 40: Post-secondary Learning Amendment Act, which would remove the tuition formula from the Post-Secondary Learning Act and move it into regulations. 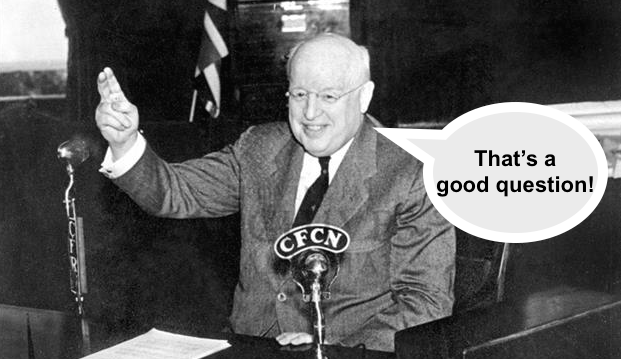 The formula as it then existed was complicated and needed to be reformed, but removing it from legislation meant that future changes to how much tuition could be raised in Alberta would be made in a closed door cabinet meeting, rather than required to be debated in front of the public on the floor of the Legislative Assembly. 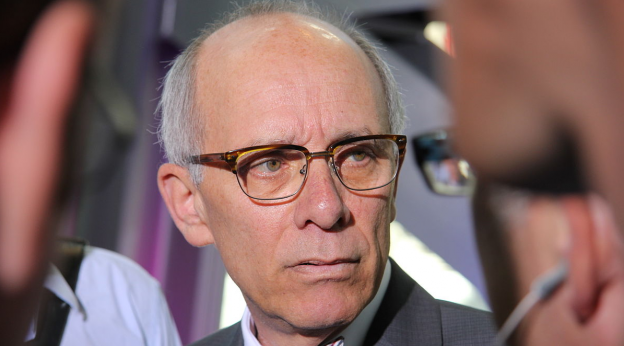 The leaders of Alberta’s student movement were concerned that removing the policy from legislation would lead to further increases, rather than the affordability Klein had promised. We decided that a quick response was best. My first full-day as CAUS chairperson started with an early morning press conference in the media room in the basement of the Alberta Legislature Building.It was my first time participating in a press conference of any kind where I would be front and centre. I was joined by Public Interest Alberta executive director Bill Moore-Kilgannon, ACTISEC president Jon Hoffman, and the Advanced Education critics from the Liberal and New Democratic Party critics, Calgary-Currie MLA Dave Taylor and Edmonton-Strathcona MLA Raj Pannu. It was a big deal at the time that the Liberal and NDP critics joined us at the press conference, and it may have been the first time the two parties had ever participated in a press conference together. I remember there were some moments of heated dispute between staffers from the two opposition caucuses about which critic would speak first, and I recall the issue was settled in favour of Pannu because the NDP Caucus had booked the media room for the press conference. The media room was packed with reporters as we read our statements arguing for transparency and accountability of the cost of education. It was the first time I had ever done something like this and it was nerve racking. Without the help of Moore-Kilgannon (who is now Minister Schmidt’s Chief of Staff) and the incredibly resourceful Duncan Wojtaszek, then-executive director of CAUS, I am not sure I would have even had my talking points straight. It was political maneuvering on our part to hold the early morning press conference. We hoped to pre-empt a press conference that the minister of advanced education was scheduled to hold on the same topic later that morning. Little did we know that Herard would never show up to his own press conference. After our media event ended we did a few more interviews and later joined the representatives from the University of Calgary Students’ Union for a tour of the Legislature. While on the tour, NDP Caucus staffer Tony Clark rushed to tell us that the minister had canceled his press conference and snuck out of the building before the media could track him down. With that news in hand, we held an impromptu media scrum on the third floor of the Legislature. It wasn’t until I spotted Klein walk past our scrum that I realized that we had planted ourselves right outside the doors of Room 307 – the Premier’s Office – which was apparently considered a major security violation. To our surprise, after the scum ended and the reporters disbursed to file their stories, U of A SU president Samantha Power and I were escorted by Legislature security to the front doors of the building. The guards gave us a stern talk about why we weren’t allowed to hold a scrum outside the Premier’s Office. After some heated negotiations, we convinced the guards that evicting us and presumably banning us from re-entering the building would result in us holding another press conference on the Legislature steps minutes later. I didn’t believe that day could get any more exciting but I was proven wrong when CAUS received an urgent call from the Minister Herard’s office. He wanted to meet with us as soon as possible. We met with the minister a few hours later in a conference room at the Delta Hotel in downtown Edmonton. The meeting was memorable but completely underwhelming. The minister listened to our arguments why keeping the tuition policy in legislation would ensure transparency and accountability for students but he offered nothing more than platitudes and strange metaphors in return. Eight days later, Progressive Conservative MLAs voted to remove the tuition policy from legislation by passing Bill 40. The minister was shuffled into the backbenchers later that year when Ed Stelmach entered the Premier’s Office. At the press conference early that morning, I told the assembled media that students were prepared to wait until the next time the legislature met to have a new policy implemented, so that the policy would be embedded in an act of the legislature. If the tuition policy was not in legislation, it was no good to us, I said. I never expected the policy to ever be returned to legislation. And while the fight to lower the cost of and eliminate tuition fees needs to continue, 12 years later the tuition policy is finally out from behind closed doors and back where it should be – enshrined in legislature. And it is a big deal. This entry was posted in Alberta Politics and tagged Alberta Liberal Party, Alberta NDP, Alberta Tuition Policy, Bill 19: An Act to Improve the Affordability and Accessibility of Post-Secondary Education, Bill Moore-Kilgannon, Calgary-Currie, Council of Alberta University Students, Dave Cournoyer, Dave Taylor, Denis Herard, Ed Stelmach, Edmonton-Strathcona, Jon Hoffman, Marlin Schmidt, Post-Secondary Education in Alberta, Public Interest Alberta, Raj Pannu, Ralph Klein, Samantha Power, Tony Clark, University of Alberta, University of Alberta Students' Union, University of Calgary, University of Calgary Students’ Union, University of Lethbridge on October 30, 2018 by Dave Cournoyer.